Unlike their larger brethren brown bears (Ursus arctos), black bears (Ursus americanus) are skilled tree climbers. At the approach of larger bears who may injure her cubs, a sow (mother) will grunt to signal that her cubs should climb the nearest tree immediately, which the cubs do with surprising speed. When the coast is clear the sow will grunt again and her cubs will scramble down. 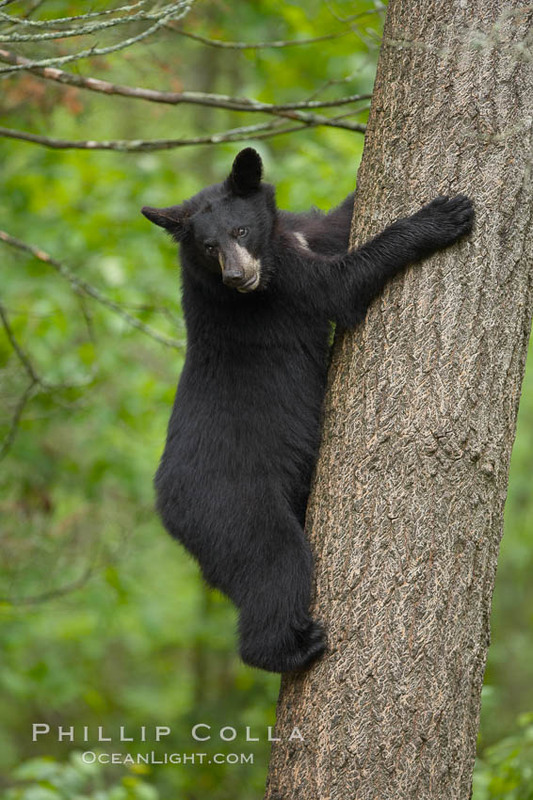 Fearful yearlings, who are at the bottom of the black bear social hierarchy and no longer have the protective company of their mothers, will bolt up a tree at the approach of almost any other bear and even a sudden loud noise from a passing bird or squirrel.